We understand the history and people of the Dearborn Heights community. Especially the plumbing needs our local comminity. Sewer backups, crawl space plumbing problems, city plumbing codes. When this comminty needs our plumbing professionalism we have been there for nearly 30 years. From the terrential rains to the frozen pipes, our company loves being there for our local hometown community. Our techs offer priority service to our customers who live in this area. Being a native resident, I take personal care when servicing our residents. Behind every job there is the managemnt team that offers utmost attention to our local community. This includes priority service, price, and profesiionlaism. 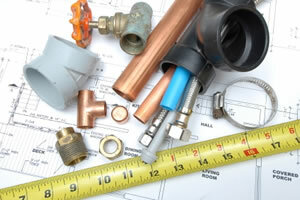 We have serveral suppliers locally who can help us accomondate any type of plumbing repair or installation. 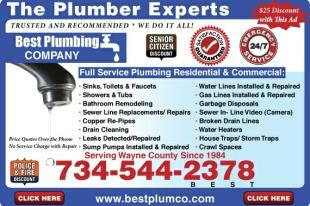 30 Years plumber experince locally. Our job is to provide Dearborn Heights with utmost plumbing care.